Up first is my birthstone, the diamond! It's the stone for April which makes my color-loving heart a little sad. 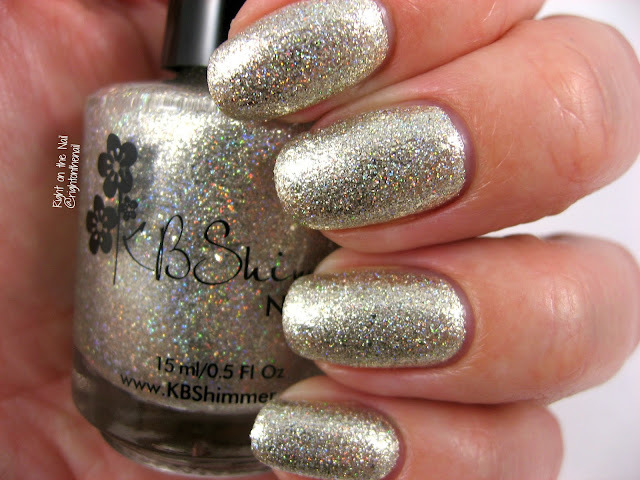 This one is a silver/gold base with metallic flakes and holographic glitter. I know this is supposed to be a pure silver, but it's really more of a light gold. Either way, it's still a show-stopper. These are extremely pigmented and needed just 2 coats for full coverage. It doesn't dry gritty, but it has a little bit of texture to it. Removal was a bit of a pain, and the flakes tend to stick to the sides of the nail. If you can use a peel-off basecoat, I would go that route. You know I love a great pink, and this one sure is bright and sparkly. Apparently October has 2 birthstones, tourmaline and opal. As a former soil scientist, I feel I should mention that tourmaline is a mineral that comes in lots of colors. You can find out more about tourmaline here. 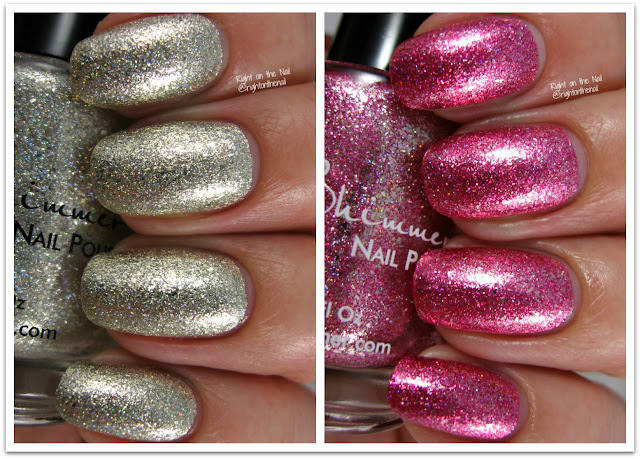 Anyway, Pink Tourmaline the polish is a cool-toned pink base with metallic flakes and holographic glitter. It pretty much applied itself in just 2 coats. Again, removal is a bit of a pain (but so worth it). You can find these on the KBShimmer site right now for $9.25 each. Make sure to check out KBShimmer's website, Facebook, Twitter, and Instagram pages for more information.